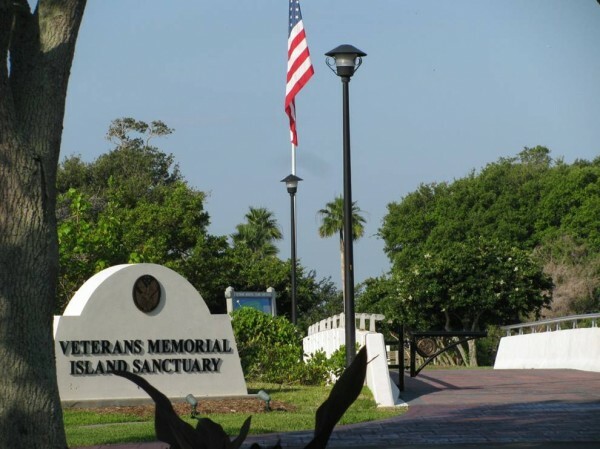 Veterans Memorial Island is a tribute to those who have given their lives in service to the nation. It was a vision of Alex MacWilliam. After WWII, spoil from dredging the intracoastal waterway was used to create the spoil island. Through the work of the community in 1964 the Island was dedicated to the Veterans. Since then it has become one of the very finest places to note their service. - a report compiled from work that the crew studied the veterans of Memorial Island completed plus my visits to Arlington National Cemetery. It has taken over four years to get to this point. But, it is testimony to the passion of Tom & Nancy Garvey, Dave Gorman, Judy Youngerman, Walter & Diane Chazotte, Pete Kersey and Howard Kettler. As we look to Memorial Day, this is a reminder that our liberties come with enormous cost.